Don’t miss the opportunity to see and tour our gorgeous newly renovated facility! The renovation project took over 2 1/2 years to complete and cost over $11 million. We added a 10,000 square foot addition and completed a down to the stud renovation of the entire 45,000 sf nursing home. The end result has provided a beautiful new environment for the 114 residents and staff for years to come. 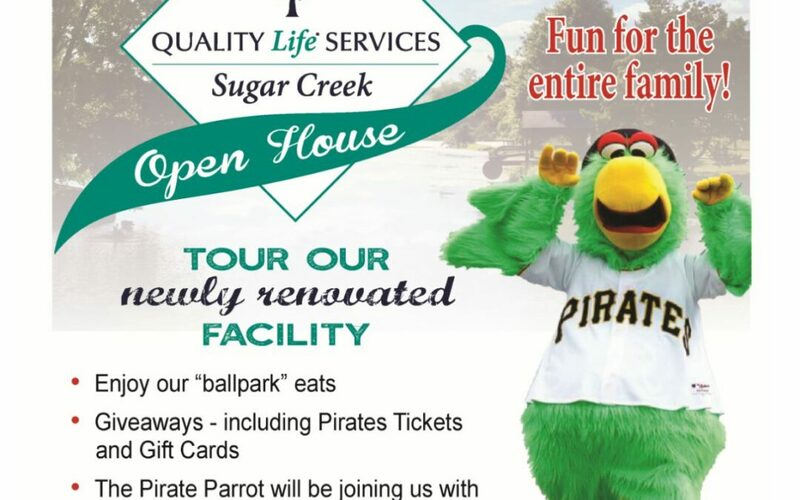 During the event we will be offering “ballpark eats”, giveaways (including Pirates Tickets and Gift Cards), and a special appearance by the Pirate Parrot and Jalapeno Hannah Pierogi!